halo › Buy Poster of Set of shining light effects. Several white small stars, sun with lens flare and rainbow halo, cinematic spaceship glare. Poster of Set of shining light effects. 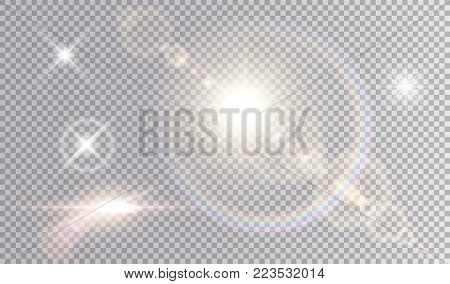 Several white small stars, sun with lens flare and rainbow halo, cinematic spaceship glare.